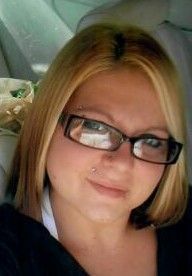 Tiffany Nichole Ducker Bolden, 29, of Mosheim, TN passed away on Sunday, February 17, 2019. She loved camo, the Dallas Cowboys and playing Monopoly with her family and friends. She was very proud of her dad's service in the United States Marine Corps and was a great supporter of Breast Cancer Awareness and Autism Awareness. She is preceded in death by her Papaw, Charles Edward Ducker; Grandma, Effie Isaacs; Aunt, Susie Turbyfield; and Cousin, Vincent Ryan North. She is survived by her children, Kaidence Nichole Lenna and Skylar Blaine Lenna; parents, Norman and Tanya Ducker; siblings, Kim Gonzalez, Amber Searcy, Norman Ducker, Evan Ducker, Gabriella Metcalf, Jamina Ducker, and Jasmine Ducker; and grandparents, Charlene Gentry, Brenda Childress, Robert Santana and Larry Isaacs. A Celebration of Life will be held at 1:00pm on Saturday, February 23rd in the Chapel of Moore Funeral Home at Forest Lawn, Candler. In lieu of flowers, Memorial Donations may be made to a fund set up to care for her children.